Description: Working on a large halite crystal frozen in sylvite. 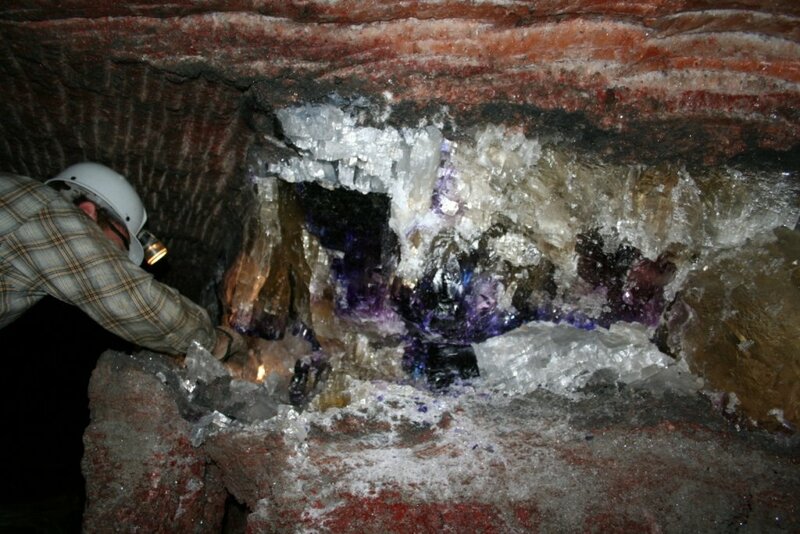 Almost all of the large crystals were fractured and fragmented because of the immense lithostatic pressure from being 500 meters underground. Tom McGuire photo.